If you don’t already know, I am a sucker for a good dip. Whether it be for veggies or chips, dips are just one of my favourite things to serve at a party. So, for Superbowl Sunday, it just makes sense to have a delicious dip to add to the spread. 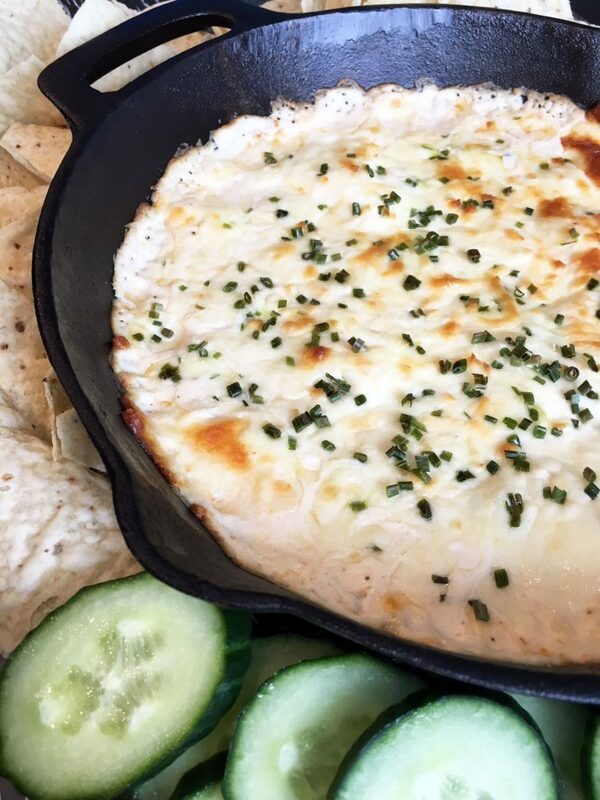 I knew it had to be hot and cheesy and this hot crab dip fits the bill. 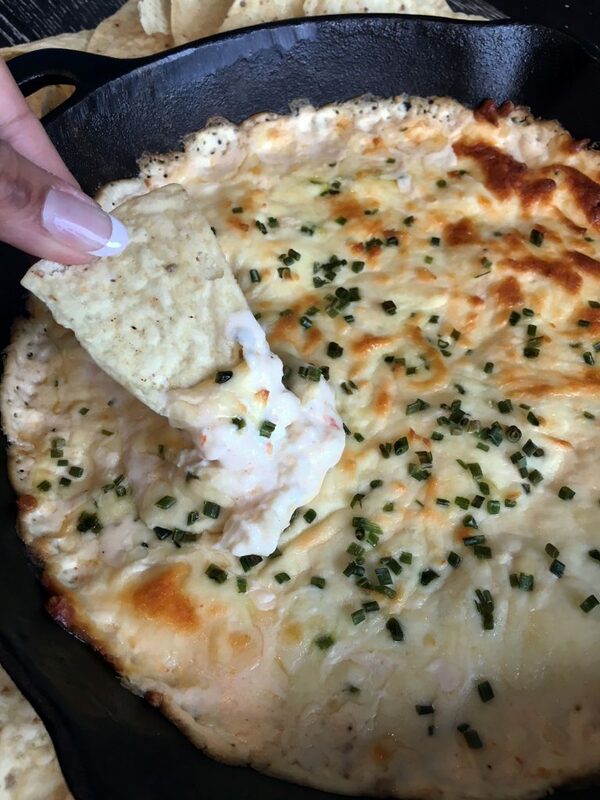 There are so many different versions of crab dip out there. This version has cheese not only in the dip but on top, baked until it forms a bubbly golden layer on top. It’s hard to resist straight out of the oven, but trust me, you’ll want to wait a couple minutes so as not to burn your mouth with all that cheese. I may be telling you this from experience. You will have to be in a sharing mood if you are going to be serving this dip. It would have been easy for me to eat this all by myself. In a bowl, combine the cream cheese, crab, garlic, onion, yogurt and hot sauce and mix well. Pour the mixture into a skillet and top with mozzarella and chives or green onions.